Towards the end of February, I called your attention to some backroom maneuvering to block the development of the Cape Wind Project, the largest proposed wind development and potentially first offshore wind farm in the United States (another proposed project in Texas might beat it to the finish line at this point). Now, Cape Wind is under threat again. As you may remmber, at the time of my I earlier post, Alaskan Congressman, Don Young (R), had attached language to the large Coast Guard Reauthorization Act that would have greatly extended the buffer zone required between offshore wind developments and major shipping lanes. The proposed new buffer distance, 1.5 nautical miles, would have virtually killed the Cape Wind Project, as it would prohibit a large portion of the proposed 130 turbine development, making the project "no longer be economically viable to build," according to Cape Wind spokesman, Mark Rodgers. The proposed Cape Wind project would construct 130 turbines on a shallow area of Massachusetts' Nantucket Sound called Horseshoe Shoal, according to Cape Wind Associates (CWA), the developers of the project. The development would produce 420 MW (peak) of clean renewable power. In average winds, that would be enough to meet the needs three quarters of Cape Cod and surrounding island's electricity, according to CWA. At the end of February, Young succesfully attached his ammendment to the Coast Guard Bill which then went to the House-Senate negotiating committee, a committee which just happened to be chaired by Young and fellow Alaskan, Senator Ted Stevens (R) (the man behind the repeated backhanded attempts to authorize drilling in the Alaskan National Wildlife Refuge). In committee, Young's buffer language was stripped from the bill, only to have Senator Stevens add another ammendment targeting the Cape Wind project, the Anchorage Daily News (ADN) reports. Stevens inserted an amendment giving the Massachusetts governor veto power over the wind farm. This too would effectively kill the project as Gov. Mitt Romney has pledged to do everything in his power to stop it, ADN reports. The Coast Guard Reauthorization Bill and the attached Steven's language now must be approved by both the House and Senate. This gives Cape Wind Associates and its allies, including Greenpeace and several other national environmental groups as well as the International Brotherhood of Electrical Workers (IBEW), time to fight the ammendment. Outside the IBEW hall south of Boston, next to a freeway, the union has its own wind turbine and an electric sign that has been flashing "Stop the Alaskan Ambush" at drivers on the adjacent freeway. Still, this all makes you ponder, just as Mark Rodgers did, what these Alaskans have against a wind farm in Massachusetts. "You have to ask, what's in it for Alaska?" said the CWA spokesman. The proposed wind farm is intensely controversial in Massachusetts, ADN writes. It would be within sight of Martha's Vineyard and other beloved summer vacation communities. Its advocates say Sen. Ted Kennedy and other rich homeowners there just don't want their view spoiled. Project enemies talk about protecting the marine environment and navigation as well as the "aesthetic pollution" of all those huge wind turbines. Advocates have pointed out that the turbines would only appear about 1" tall on the horizon and would only be visible on clear days. Many proponents of the development argue that this is a perfect example of the 'Not In My BackYard' (NIMBY) attitude blocking the much needed development of renewable energy. Polling shows state residents outside of Cape Cod overwhelmingly support the wind farm, ADN reports, but on the Cape the opposition is much stronger. According to ADN, more than 60 percent of Nantucket residents opposed it in a recent nonbinding vote. So what do these two Alaskans have against the project, indeed, why do they care at all? According to ADN, Stevens has said he added veto power for the governor because Senator Ted Kennedy (D-Mass. ), asked him to and because he believes states should determine what happens off their shores. "Senator Stevens was approached by Senator Kennedy and, on the merits of his argument, agreed," said Stevens spokesman Aaron Saunders. But Stevens and Kennedy aren't usually allies, wind advocates note. As ADN points out, Kennedy, one of the nation's most prominent and vocally liberal Democrats, passionately opposes drilling in the Arctic National Wildlife Refuge, which Stevens has been working to open for more than 25 years. Suggesting that an Alaskan Senator, like Stevens, might cooperate with Kennedy, as television ads did in Alaska's most recent Senate race, amounts to negative campaigning in Alaska. Congressman Young told reporters in Anchorage that it was the Coast Guard that first raised the issue with him and that he's concerned the wind turbines might threaten navigation. But Coast Guard spokeswoman Angela McCardle said the Coast Guard never asked for the buffer zone Young's bill required. "We prefer to look at it on a case-by-case basis and not just use 1.5 miles" as a mandatory distance, she said, a policy that seems to make perfect sense to me. So what gives? Why would Senator Stevens be willing to take a stand on this issue, one affecting an area far from his constituents, and why would he risk associating himself with Senator Kennedy? And why would Young imply that the Coast Guard requested his ammendment when the spokesman for the Guard has denied it [some might call Young's statement a flat out lie; it's up to you though]? Another theory centers on the great-grandson of President Theodore Roosevelt. Ted Roosevelt IV, managing director of Lehman Brothers and a board member of The Wilderness Society, exasperated Stevens last year when he and Susan Eisenhower, the granddaughter of another Republican president, came to the Capitol to oppose drilling in ANWR. "I really am very, very disturbed," Stevens said at the time. Roosevelt has been a vocal supporter of Cape Wind for several years, ADN reports, even though he owns a house on Martha's Vineyard that overlooks Nantucket Sound [making him relatively unique amongst prominent area residents]. Lehman Brothers is also a financial adviser to the project, he said. Roosevelt was one of the featured speakers at Thursday's news conference held by Cape Wind Associates and its allies. The Roosevelt theory reportedly gained currency when Young suggested to Anchorage reporters in February that they should look into who was financing Cape Wind. 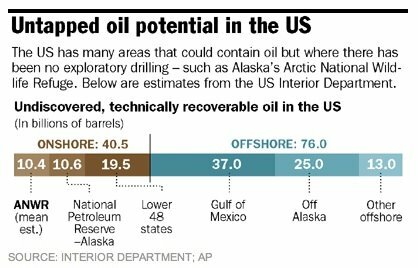 Roosevelt, though, didn't put much stock in the speculation that the Alaskans are using the wind farm as payback for his stance against ANWR, ADN reports. "I think they've got more important things to worry about than the fact that my firm is involved in this as a financial adviser," Roosevelt said. "I suspect that it's relationships in the Senate, that Ted Kennedy reached out to him and said, 'This is very important to me.'?" Or maybe a Republican senator persuaded him, he suggested, or a lobbyist. "We simply don't know, and they aren't saying," Roosevelt concluded. Ernie Corrigan, a spokesman for the Alliance to Protect Nantucket Sound, the group fighting the wind farm, told ADN that the reasons aren't so mysterious. Young and Stevens are chairmen of the committees most relevant to the issue, he noted. They know from their experience with Alaska fisheries that states should have a big say in what happens off their shores, he said. And, he added, why wouldn't Stevens oblige a request from Kennedy? "It should not shock anyone ... that Ted Kennedy has worked with both sides of the aisle on a lot of things," said Corrigan. Don Young, whose days as a Yukon River barge captain are a feature of his persona, has an "instinctive" understanding of navigation hazards, Corrigan posited. "I'm told he's the only licensed mariner in Congress," Corrigan said, echoing an attribute Young often notes. Still, at least for this inquisitive mind, I'm left wondering, why should this issue be resolved through the backroom maneuvering of a pair of Congressman from Alaska? Why shouldn't this get a simple up and down vote, rather than being attached in conference as a rider on a much larger Coast Guard appropriations bill? Or better yet, why not leave issues of navigation safety up to the experts at the Coast Guard, who as they've stated, would prefer the freedom to decide these issues on a case by case basis? If you find yourself, as I have, baffled by this issue and believe that the Cape Wind Project will be an important step towards harnessing the as-of-yet untapped offshore wind potential in the United States, I urge you to act (again) to support Cape Wind and offshore wind development in the United States. Please call and/or email your Senators to urge them to oppose the Steven's language attached to the Coast Guard Reathorization act. If you'd like further reading, Cape Wind Associates has talking points and a collection of editorials and articles here. And if you haven't read it, my previous post on the issue, which goes much more into the supposed navigation concerns, can be found here. The Globe and Mail reports that the new Conservative government in Canada plan large cuts to spending on a variety of environmental programs, including those designed to combat global climate change. The Conservatives want to slash Environment Canada programs designed to fight global climate change by 80%, and want cuts of 40% in the budgets devoted to climate change at other ministries, according to cabinet documents obtained by The Globe and Mail. The documents also say that the Conservatives' campaign promise of tax breaks for transit passes would cost up to $2-billion over five years, but would result in an insignificant cut in greenhouse-gas emissions because the incentives are expected to spur only a small increase in the number of people willing to trade using cars for buses and subways, the Globe and Mail reports. The section of the cabinet documents on the budget cuts, written by an unidentified government official after a cabinet meeting in late March that approved the reductions, also said the Tories want to try to claw back $260-million (Canadian) the Liberals had pledged to the United Nations to fund its international climate-change programs. The document also reportedly said that federal funding for wind power, "is also uncertain." The Tories have indicated that they are ambivalent about the Kyoto Protocol to fight climate change, planning to neither pull out of the treaty nor meet its emission-reduction targets. According to the documents, the Tories have yet to develop their unique Canadian-based set of actions. "No process has been put in place to determine next steps on climate change or to develop the new 'made in Canada' climate plan," the documents said. The documents said that while the Tories are trying to save money by cutting the programs designed to reduce greenhouse-gas emissions, they won't cut government staff positions, so most of the money earmarked for climate change will be going to salaries for bureaucrats. "Only $375-million was approved for climate spending, with most of the dollars covering staff salaries until the new government determines next steps. ... What is clear is that staff will have little to do and that they will have no budgets to spend over the next year and that more cuts are coming." The review, which was begun by the Liberals and completed last fall, found only 22 programs were ineffective. The Treasury Board information was supposed to be used to reallocate funding from programs that weren't working to those that were achieving better results. 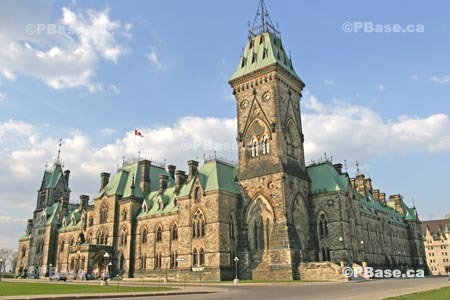 The Liberals did not deal with the review before the election, and many federal initiatives didn't have budget allocations after March 31, the end of the government's fiscal year. Well, this is cheery news. It looks like our neighbor to the north is following in the footsetps of our stellar national leadership on climate change. The new Torie government seems to to be keen on adopting the 'do nothing' school of though on combatting climate change pioneered so well by President Bush. This is truly a shame to see Canada's efforts towards fulfilling their Kyoto Protocal targets halted by a change in government. As far as I am aware, climate change mitigation policies are also quite popular in Canada so it seems like this is hardly a popular move by the new government. Oh well. Canada can join the United States in firmly planting our heads in the sand and hoping that the continued signs [two links] of impending climate change simply go away... Bravo Canada! Oregon Governor Ted Kulongoski voiced his support on Tuesday for a federal earmark of $3 million to establish a national Wave Energy Research, Development and Demonstration Center in Oregon, Renewable Energy Access reports. Siting the research center in Oregon would bring the governor's state closer to a leadership role in renewable energy. After seeing a demonstration of electrical power generation from ocean wave action [see image of OSU's linear generator bouy above], the Governor told researchers at Oregon State University (OSU), where work on the technology has already begun: "This remarkable technology is part of my vision for energy independence and renewable energy in Oregon." Setting up the Wave Energy Research, Development and Demonstration Center in Oregon is among the top priorities the Governor has outlined to Oregon's congressional delegation, REE reports. "I am committed to doing everything I can to locate the Center in Oregon," the Governor said, "and I intend to work at both the federal and state levels." "This kind of clean, renewable technology is the future of Oregon and our nation. Oregon has the opportunity to lead the transformation of energy consumption on a national and global scale, and we must make the most of that opportunity," said Kulongoski. South Carolina Congressman and Science Research Subcommittee Chairman Bob Inglis (R) introduced legislation called the 'H-Prize Act of 2006' [H.R. 5143, see 'Resources' below] last Thursday in the U.S. House of Representatives. The monetary H-Prize is intended to spur innovation by attracting the best and brightest minds to attack technological and commercial market obstacles in moving to a hydrogen economy. 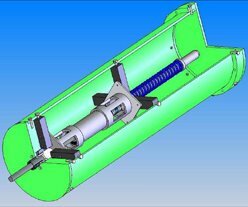 Modeled after the successful $10-million Ansari X Prize awarded for entrepreneurial space flight, the three category H-Prize features a $100-million grand prize that would be awarded for commercial transformational technologies that changes hydrogen technology and brings the hydrogen car to driveways around the country, Green Car Congress reports. Technological advancements: Four $1-million prizes awarded annually in the categories of hydrogen production, storage, distribution and utilization. Prototypes: One $4 million prize awarded every other year for the creation of a working hydrogen vehicle prototype. Transformation technologies: A maximum $100 million prize—$10 million in cash and up to $90 million in matching funds for private capital—would be awarded for changes in hydrogen technologies that meet or exceed objective criteria in production and distribution to the consumer. Under the legislation, the Secretary of Energy will contract with a private foundation or panel that will include experts in the field to establish criteria for the prizes, GCC reports. "America is treading water in a sea of rising demand for oil that includes China and India. The market is now in a position to reward those who will innovate our way to a hydrogen economy. Those innovators will create jobs, clean the air, and improve our national security." The Science Committee has scheduled a hearing on the bill for April 27. Separately, the X Prize Foundation, creators of the Ansari X Prize, announced that they are forming a new Automotive X Prize to focus on the creation of new fuel-efficient vehicles that far exceed anything available on the market today. Rules for the Automotive X Prize may be announced as early as 1 May. X Prize founder, Peter Diamandis, has said, "We're still using the internal combustion engine after 100 years, and getting 20 miles per gallon for the past 40 years. It's ripe for a major prize to break things open." Many people believe that the automotive industry has too much legacy to overcome and is too risk averse to move away from manufacturing and selling profitable low MPG automobiles. In this view, the problem is not a lack of technology, but high barriers to industry change: long-standing supplier relationships, national and local legislation and regulation, union rules, building costs, legacy costs (pension and other investment expenses) all conspire to maintain the status quo. The prize is not intended to create more exciting concept cars that will never make it to market but is rather focused on "putting hyper-efficient cars into the hands of consumers" which clearly "requires much more than a technical performance achievement – winners must deal with the realities of manufacturability and post-delivery service. They must also deal with federal and state regulations on emissions and safety." Additionally, while alternative fuels are quite promising, the X-Prize is focused on spurring innovation in gasoline or diesel engines. "Although biofuel, fuel-cell, and plug-in technologies are all promising, current consumer attitudes and the current transportation infrastructure favors solutions based on gasoline and diesel fuels," the Foundation said. "The Auto X-Prize will focus on the creation of new fuel efficient vehicles that far exceed anything available on the market today." The Prize will be focused on entrepreneurial innovation. That is not to say there won’t be significant technological innovation as a result but it is not the explicit purpose of the prize. There will be a units sold metric included in the rules. This is about creating a product the individual consumer can support and purchase. The goal is to maximize consumer involvement through television and the internet. Over the few weeks we will be meeting with the brightest minds in the industry to map out the economic, environmental, geopolitical, and industrial landscape. In addition we will be looking for strategic partnerships, sponsors, and staff as well as potential competitors. From this group. the final advisory board will be formed to approve final rules. Rules may be announced as early as May 1, 2006, meaning we could begin registering teams by June 1, 2006. These dates are not set in stone but are a good estimate. As this is a prize which is aimed at inspiring entrepreneurial innovation, XPF chose Mark Goodstein as director of this prize for entrepreneurial expertise. His experience building companies his given him an excellent working knowledge of all issues that encompass building a new product for delivery to the market. His ability to examine all sides of a problem to determine a cohesive solution will be vital in bringing together the various factions that now exist in the automotive industry.